As the "heart" of the building, mechanical systems not only breathe life into spaces, but they offer control, a steady hand in the sometimes unpredictable construction process. 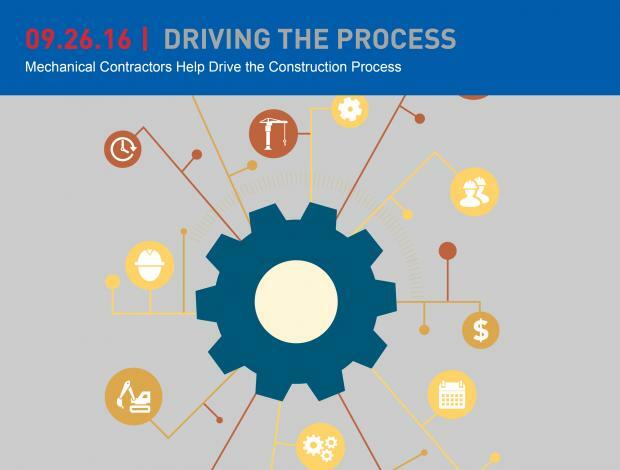 Beyond controlling the environment inside, mechanical work can also be the "heart" of the construction process, aiding other trades in completing their work and setting a foundation for the construction that follows. "The unique thing about mechanical systems is they can be used on a temporary basis — both heating and cooling — to control temperatures and humidity to allow other crafts to perform their work. When other subs can get into the building early to complete things like paint, millwork, and other finishes, it helps everyone and creates a true team environment where we’re all working together for the benefit of the project. By working with the other trades and creating solutions to make the process smoother and the work easier for all involved, we can help lay the groundwork for success," said Paul Redgate, operations manager. That foundation is only made stronger when mechanical contractors are involved with the project from day one. By getting on board early, they can help control costs from project kickoff to completion. "Getting involved on the front end helps because it gives us the opportunity to control costs through input to the engineering team during the design process. We can also provide input on the benefits or disadvantages that a particular type of system would have for the end user of a building," said Annaleis Widmar, project manager at Countywide. Designing with the end user in mind can negate the need for redesigns and costly changes down the road, which means predictability for the client. "When we are part of the process early, it gives us an opportunity to begin our planning, procurement, and even fabrication prior to the first shovel of dirt being turned. As each design milestone is reached, we can update the budget, so the customer knows exactly where the project stands, which leads to peace of mind for our clients," said Widmar. Much like the mechanical systems themselves, the construction process relies on those moving parts working in concert with one another. "It’s all connected. In many projects, clients brought us on board as part of the construction team early, which benefits all the other subs and sets the process in motion to streamline the entire workflow. On the field side, our virtual design and construction group began their BIM and coordination drawing process sooner, which allowed us to begin fabrication of certain mechanical assemblies well before they were scheduled to be installed. That in turn helps to level the manpower throughout the project duration, which can help the safety aspect of a project as well," said Widmar. "Early involvement also brings a certain camaraderie to the project — a sense that we’re all in it together — and that results in a successful project for the client."